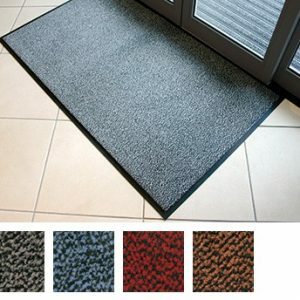 Guzzler is part of the AquaTRU™ series of entrance mats that offer truer size options for a better value. Intended for use in medium to heavy traffic areas, the raised, crushproof waffle design of Guzzler™ aggressively scrapes and cleans, while the rubber-edged perimeter entraps dirt and moisture for superior water and soil control. 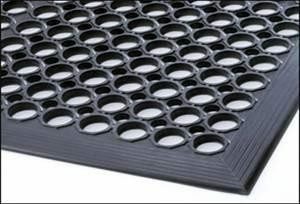 Molded rubber “cleats” on the underside of the mat grip the underlying surface minimizing mat movement. 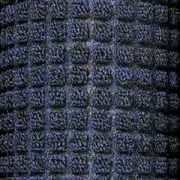 • Raised waffle pattern facilitates the scraping process while the channel design retains moisture and debris. 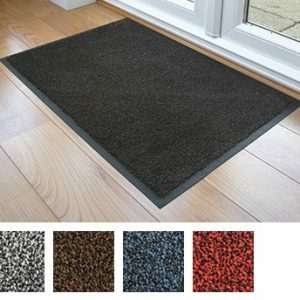 • Raised rubber border on all 4 sides acts as a containment barrier that traps moisture and debris. • Molded rubber cleats on the underside of the mat grip underlying surfaces and minimize mat movement. 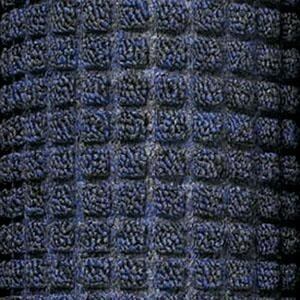 • Densely tufted yarn for increased moisture retention, and easier cleaning. • Recommended and approved product as a part of the GreenTRAX™ program for “Green Cleaning” environments (when used as part of the “Stages” system). • Face Weight – 26 oz per sq. yd. 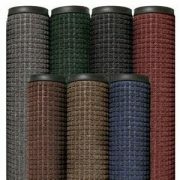 Part of the AquaTRU™ family, Guzzler™ offers true sizing for a better value.